1. 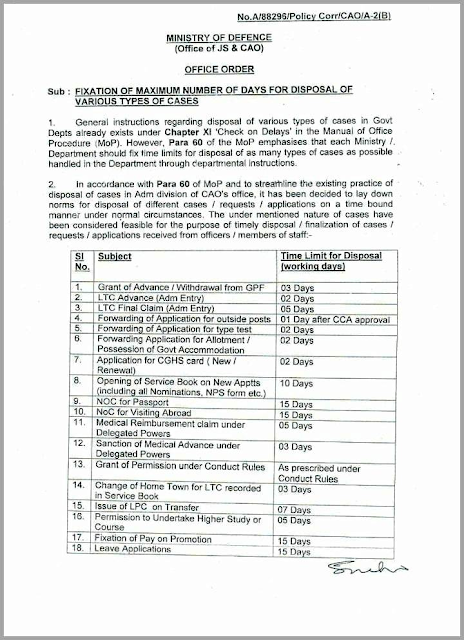 General instructions regarding disposal of various types of cases in Govt Depts already exists under Chapter XI ‘Check on Delays’ in the Manual of Office Procedure; MoP). However, Para 60 of the MoP emphasises that each Ministry /. 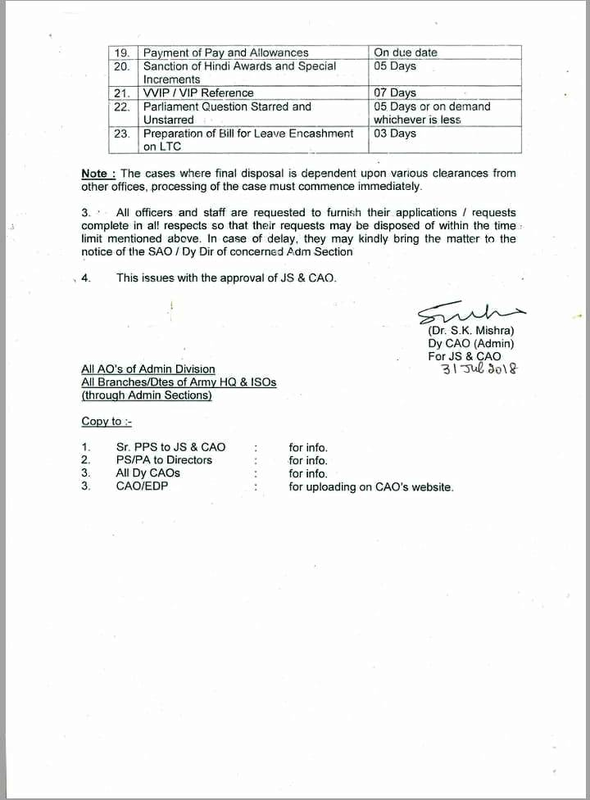 Department should fix time limits for disposal of as many types of cases as possible handled in the Department through departmental instructions.